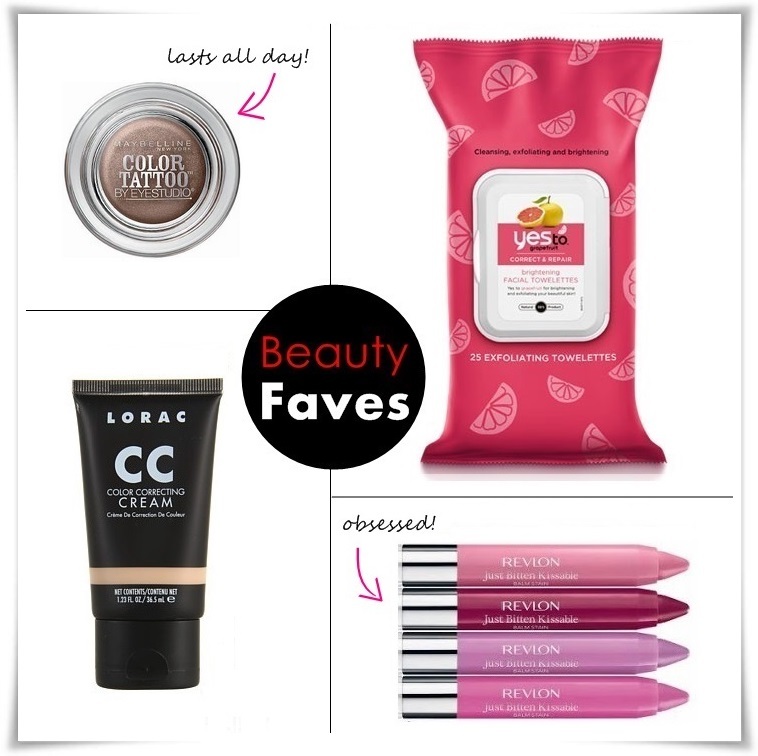 Babblings of a Mommy: May Beauty Faves. 1. Maybelline Color Tattoo Eyeshadow - These gel cream shadows are super pigmented and last all day without creasing or smearing. Bad to the Bronze is my fave for everyday wear. 2. Yes to Grapefruit Towelettes - Feels so refreshing while correcting and exfoliating your complexion. Gentle on the skin, yet tough enough to wipe away any make-up. 3. Lorac CC Cream - Works great on my combo skin. Evens out skin-tone and doesn't feel heavy. I use it under my foundation to get a flawless finish. 4. Revlon Just Bitten Balm Stain - My newest obsession! Long-lasting and lightweight. The colors are perfect for day to night. You've reminded me that I need to stock up on some stuff. Thanks for posting and feel free to drop by me too soon.